This statistic presents the share of Facebook users in the United States who have considered deleting their profiles as of April 2018. 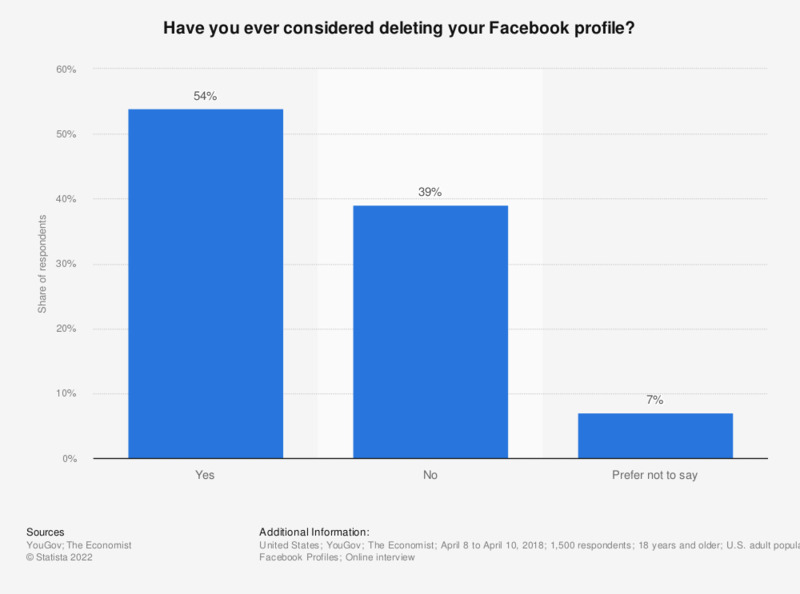 According to the findings, 54 percent of respondents stated one point in time to have considered in deleting their Facebook profile. Question: "Have you ever considered deleting your Facebook profile?" In your opinion, at what level can we combat terrorist threats most efficiently in Italy? Since she became Prime Minister would you say your opinion of Theresa May has become more positive or negative? Do you think that Theresa May has similar views to your own? Who would you vote for in the US presidential election if you had a vote? Are you satisfied or dissatisfied with the way Prince Charles is doing his job as Prince of Wales?